LEEDON RESIDENCE is located at 2 - 24 LEEDON HEIGHTS in district 10 (Bukit Timah, Grange, Holland) of Singapore. 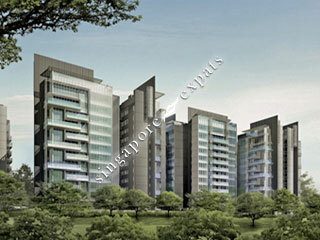 LEEDON RESIDENCE is a Freehold Condo development consisting of 381 units. LEEDON RESIDENCE is completed / TOP in 2015 (estimated), developed by LEEDON RESIDENCE DEVELOPMENT PTE LTD.
Educational institutions like HWA CHONG INTERNATIONAL SCHOOL, MELBOURNE SPECIALIST INTERNATIONAL SCHOOL, TANGLIN TRUST SCHOOL, NANYANG PRIMARY SCHOOL, NEW TOWN PRIMARY SCHOOL and RAFFLES GIRLS' PRIMARY SCHOOL are near to LEEDON RESIDENCE. LEEDON RESIDENCE is accessible via nearby FARRER ROAD, HOLLAND VILLAGE and COMMONWEALTH MRT Stations. Amazing Quality and Simply Beautiful Facilities! If you love living, you will love Leedon Residence, much better than D'Leedon.